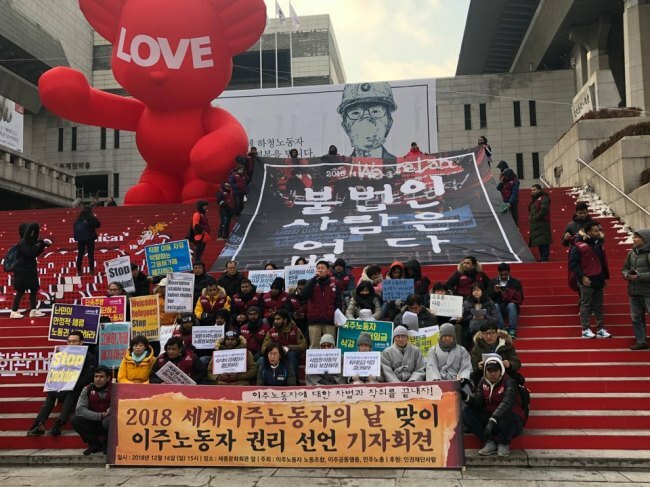 Tanka Lungeli, a Nepali who works at a factory in Korea, wants to change jobs because his employer does not pay him properly. But when he told his boss and requested the move, he says he received death threats and was treated as if he were a slave. Lungeli came to Korea in June 2017, obtaining an E-9 visa -- nonprofessional worker visa -- provided under Korea’s Employment Permit System. In September that year, he had to go back to Nepal for 15 days to see his sick daughter. When he came back, he expected his salary to be reduced by 200,000 won for the absent days, but the boss had deducted double the amount.